Loss prevention can’t be overlooked by any retailer. According to a 2018 survey conducted by the National Retail Federation (NRF), shrinkage impacted the US retail economy by almost $46.8 billion in 2017. Inventory loss is immense and remains an issue across multiple industries, especially retail. It happens to businesses of all sizes—from locally owned shops to nationally known megastores. What causes shrinkage in retail? For the fourth year in a row, shoplifting has topped the survey as the No. 1 cause of retail shrinkage, with $559 as the average dollar loss per incident. Shoplifter profiles have a broad range—all ages, genders and socio-economic status. Shoplifters may work alone, in pairs or as a group. They may steal an item priced less than a dollar or exit with several items that total $1,000. No store is immune, but all retailers can take steps to reduce shoplifting. Easy-to-see surveillance cameras plus warning signage are effective deterrents against shoplifting, as are product security sensors. Training employees to recognize the signs of shoplifting and how to discourage crime from occurring also help reduce shrinkage numbers. In addition, having extra employees on the floor during busy times, engaging with customers, and keeping the store clutter-free and well-lit, aid in loss prevention. On average, the dollar loss retailers suffer for a dishonest employee is about $1,200. Enforce a zero-tolerance policy on employee theft. Establish loss prevention awareness from day one and continue with policy refreshers for employees at all stages of their career. When discussing loss prevention with employees, provide specific examples of what is and isn’t employee theft, reiterating the zero-tolerance policy. Point-of-sale (POS) data mining can determine if employees attempt to manipulate the POS system by ringing through a no-sale to access the cash drawer—giving customers (usually friends or family) unauthorized discounts or creating return fraud. When it comes to securing and tracking items that need to be locked at all times, like electronics and jewelry, a key management system makes it more difficult for employee theft. This type of system can reduce cash-box skimming, which over time can add up to large amounts. Typos happen, but data-entry errors for a retailer’s bookkeeping or inventory records add to shrinkage issues and can deeply impact profits. Maintaining accurate inventory management is essential, from what’s on the floor to actual sales and the employee responsible for each transaction. A smart POS system eliminates the guesswork, tracking inventory from the stockroom to the floor and in real time. This way, it’s easier to pinpoint best-selling items and plan for re-ordering as needed. Vendor or supplier fraud accounts for the least amount of shrinkage, on average, for retailers. Still, awareness is key to recognizing potential problems that could cost a business thousands of dollars. This type of costly fraud may be implemented through a billing scheme where the store is charged for units not delivered, often through duplicate invoices that appear legitimate. Bribery and extortion also occur and may include dishonest employees who work in conjunction with the fraudulent vendor or supplier. Because shrinkage numbers haven’t seen a significant reduction in the last few years, retailers need to develop a solid loss prevention strategy. For example, investing in radio frequency identification (RFID) and the Internet of things (IoT) technologies offers benefits ranging from stronger inventory control to increased efficiency for product returns and overall improved loss prevention. Not every loss prevention tool fits the needs and budget of every retailer. However, a combination of tactics makes an impact and reduces a store’s shrinkage. Combining surveillance equipment with signage, a general alarm system, and a key-and-lock system, can be beneficial. Something as basic as a lost key can be costly, but with a key management system in place, the risk becomes significantly reduced. Knowing what causes retail shrinkage is half the battle on loss prevention. 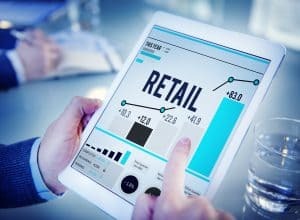 Awareness, employee training, enforcement of zero-tolerance policies, and the use of technology and equipment (such as surveillance, POS tracking and key management systems), are ways retailers can reduce shrinkage and increase profit margins.